Experiencing a massive oil leak all of a sudden. 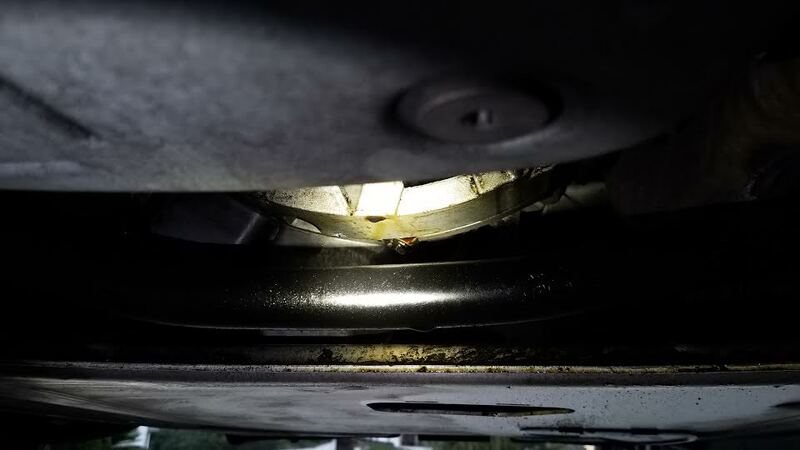 The oil is leaking down where the engine/transmission meets and also where the front passenger side axle connects to the oil pan. Valve cover gasket was done the same time this oil leak started to develop. Of course, I thought maybe the valve cover gasket was kinked somewhere, but inspecting the perimeter of the valve cover gasket, it looks to be dry/clean. 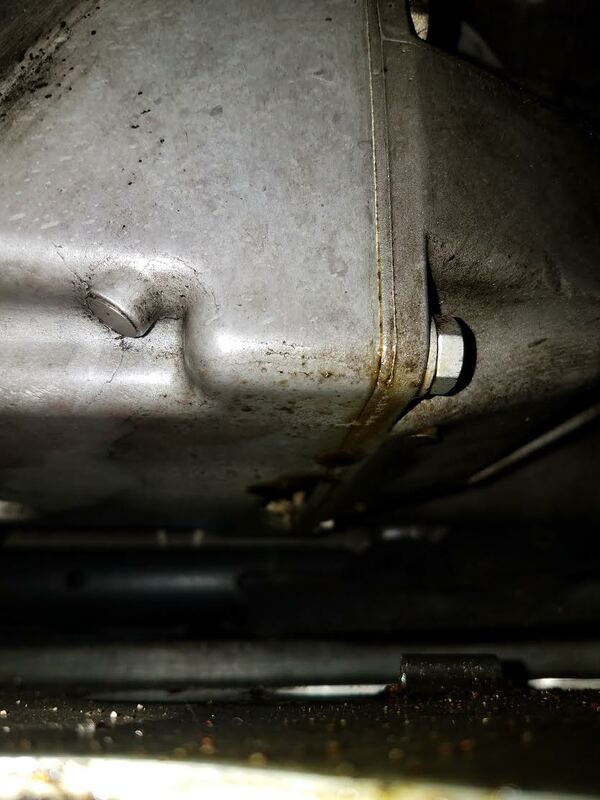 I can't seem to find a higher point where the oil can be coming from when inspecting around the oil pan/engine block area. Is there something that I may be overlooking or simply not seeing that I should double check? I left the car sitting for two weeks and came back to a 1'x2' large oil stain on the driveway. - I have the same leak in my 2004 E83 X3 2.5L engine. I think it is from the oil pan gasket, which is a PITA job. This is my 2004 X3 2.5i leak photo. I am still living with it for now (not fixed yet). This leak is not "life-and-death" issue, it is just annoying. Which motor and since half the people on this forum drive right hand drive best to say right/starboard side vs passenger side. The chain tensioner seal when it fails will leak quite a lot of oil. On the 3.0 if the oil filter o-ring isn't replaced every change you can expect quarts of oil to be trailing you around. Looks like the poster after you said that it shouldn't leak from the oil pan if it is just sitting? Forgot to also mention that my engine is an M54 and it is a LHD vehicle. Another thing I should note. I did drain the oil completely from the engine and let it sit overnight empty and it still showed signs of oil leaking in those areas pictured. Obviously, probably from residual oil, but just maybe another hint that could help me figure out exactly where the leak may be coming from. I have M54 as well and was just up on the hoist this weekend to look into it. I have the same leaks: one at the back by the transmission and one on the front right side. My conclusion was oil pan gasket by what I saw and have read about. I suspect the extra load of a front diff attached to the pan makes sealing it to the engine a tough job. It's very had to find the source with the stiffening plate on so first thing I will do is remove that then I'll pressure wash the bottom of the engine and go for a drive. Maybe add some uv dye to the oil to find fresh vs old leak. OP, I have the same leak, but not as bad - no drips on the ground...just all over the belly pan. 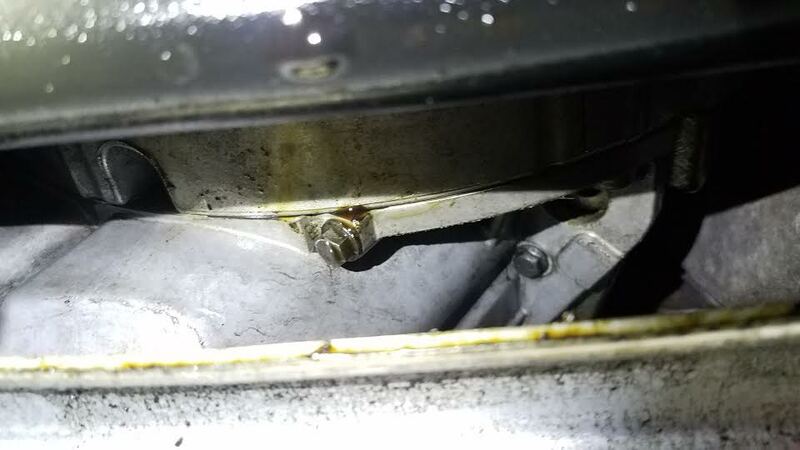 I had a local BMW indie looked at it last year when I had them do my PCV and they pretty much confirmed that it was leaking from the oil pan gasket. Needless to say, I was quoted a 10hrs+ job to change it out...so I'm still living with the leak til this day. Since you're also in Irvine, I am curious to hear if you can find a lower cost solution - please keep us updated. Thanks. I did remove the stiffening plate underneath there and cleaned everything up already as well. So all of that oil leaking in the pictures are actually pretty much fresh. The oil will leak without me having to drive the car as well. If I do the oil pan gasket, I would end up doing it myself. Otherwise, for anything that I can't do myself, I usually take it to precisiongermanperformance.com. I purchased this E53 about a month ago. As I was doing the oil change, I did notice that it was pretty dark and seemed like the oil hadn't been changed in a while. This makes me partially believe that the new oil could have cleaned out some of the crud around the gaskets, therefore allowing the fresh oil to start leaking out. My hat's off to you if you can change out the oil pan gasket yourself. I was told that this is very labor intensive as the subframe have to be dropped, the diff and half-shaft with knuckle have to be removed to say the least. If you're successful at it, would you like to earn some extra cash and do mine? Last edited by dkl; 02-08-2019 at 08:52 PM.